Live Sridevi Final Journey: Actress Wrapped In Tricolour, All celebrities are there to Honour: – Well, As you all may know that Sridevi a finest and beautiful Bollywood actress of Bollywood is not more with us. In sometime, Sridevi will be put to rest but now the family and other celebs are doing the honor and then she will sleep forever. The actress’s mortal remains were brought to Mumbai from Dubai last night after she passed away due to accidental drowning at a Dubai hotel on February 24. Her death is one of the most shocking news we ever heard ever. The entire Kapoor and Ayyapan family paid last respect to Sridevi during her state honor. Even Aishwarya Rai Bachchan, Rekha, Sushmita Sen, Ajay Devgn, Kajol, Deepika Padukone, Sidharth Malhotra, Vidya Balan, John Abraham, Madhuri Dixit – Nene, Sanjay Leela Bhansali joined the funeral and pay their last respect to her. Also, the police forces are trying to control the whole scenario and the fans are there which is why the whole road is full of traffic. Sridevi was wrapped in the Indian flag and was accorded with state honors. 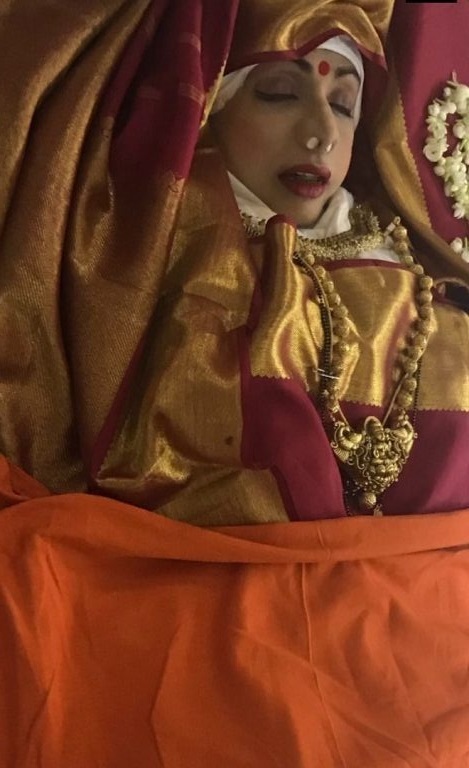 Also, the mortal remains of Sridevi were wrapped in red and golden Kanjeevaram saree and were kept in a glass casket. People can take her look easy and can share their word of mouth with a glimpse of the late actress getting state honors in the presence of the entire Kapoor and Ayyapan families. Since the actress was brought to Mumbai yesterday, we got to see a lot of celebs pay respect to her.